Cheryl Richards, Chief Diversity Officer and Jay Marsh, Regional Director of Sales, Mid-Atlantic office, attended the International Gay and Lesbian Travel Association (IGLTA) conference in St. Petersburg, FL., May 3-7. IGLTA is the leading member based-global organization dedicated to LGBTQ tourism. The conference updated the staff through numerous travel experts on LGBTQ tourism globally and shared success stories and best practices of the IGLTA Foundation. 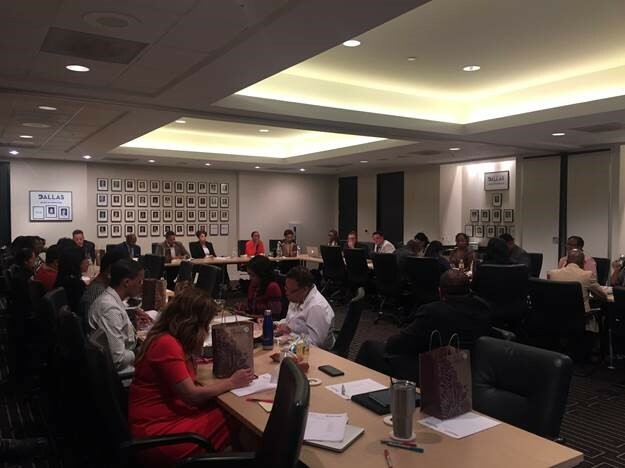 The team hosted a MegaFest Integration Meeting on May 16, followed by the Host Committee meeting. Again, thank you to all our community leaders that have played an integral part in the planning process of MegaFest. The VisitDallas social media team partnered with the MegaFest social media team for a social media take-over on May 30. Chief Diversity and Inclusion Officer assisted Jennifer Lynch, Regional Director of Sales, Chicago office, with the National Association of Blind Merchants. The association was looking at Dallas for their fall 2018 conference of 500 attendees. VisitDallas' best practices for working with groups that are blind was discuss with the client. In other activities, the staff attended the Dallas Regional Chamber of Commerce Women in Leadership Conference, Dallas Women's Foundation Maura & Young Leaders Awards Dinner, North Texas Small Business Conference and The Greater Dallas Asian American Chamber of Commerce Asian Festival.